glass bow with 20-lb . Fiber glass 6 2-in . bow . 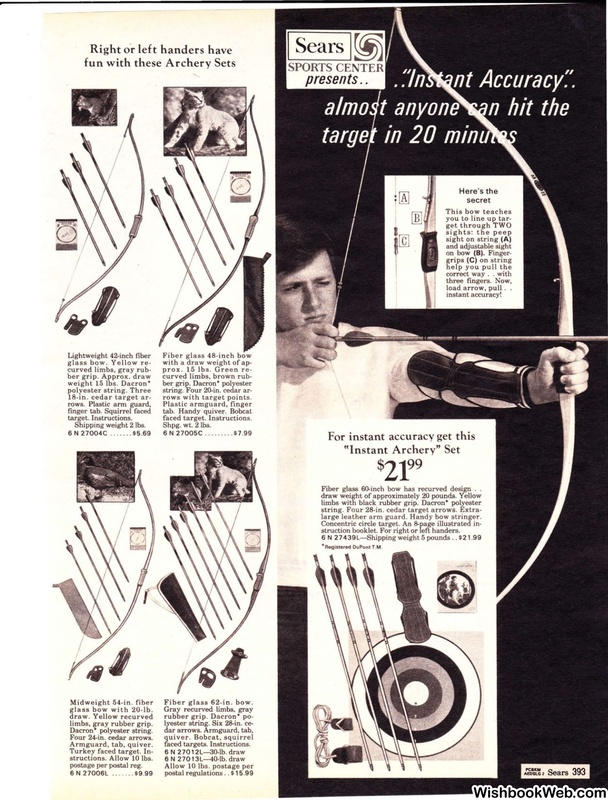 Fiber glass 60-inch bow has recurved design . .
large leather a rm guard. Handy bow stringer. struction booklet. For right or left handers.